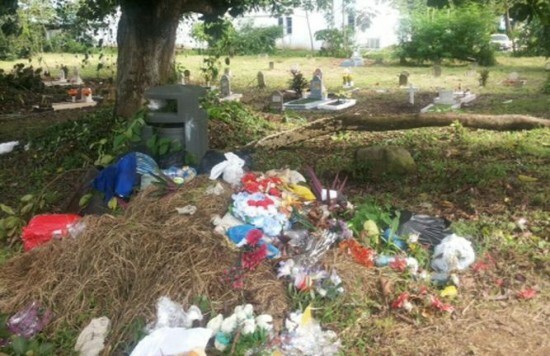 The headline reads “Cementerio Corozal en la Desidia.” Image thanks to TVN – on line. This is a screen shot of the World Monuments Fund's landing page. Please visit it and browse through their 2010 Watch List. We just had to break the wonderful news to all our readers and descendants of the Silver People who have been following our progress! Our “Silver” Cemeteries here in Panama- Mount Hope as well as Corozal Cemeteries, the resting places of our historic Silver ancestors who built the Panama Railroad and the Panama Canal- have been included on the World Monuments Fund’s prestigious “100 Most Endangered Sites” for 2010.